A car is a financial burden, but in return it offers freedom to travel where you like, when you like. Like it or not, for many of us a set of wheels is essential. Should you buy new or used? And how do you find a reliable vehicle that won’t become a money pit? What are your rights? What should you watch out for when buying from a dealer, and what are your rights during the purchase and afterwards? Which cars are reliable? We’ve analysed data from our members for 10,520 cars, covering 27 makes and models. Why do we buy certain cars? Our members also told us what attracted them to their ride, and what they like about owning and driving it. Decide what type of car suits your needs. Find out the reasons why our members chose their cars. Don’t pick a lemon. 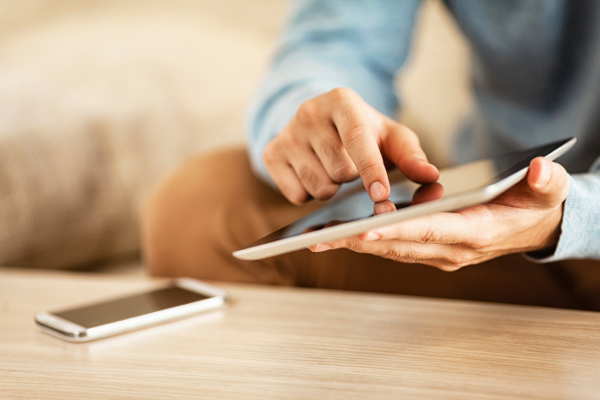 Use our guide to narrow down your options. Choose a more reliable model with highly satisfied owners. See which models our members rated as being most reliable. So you think you’ve found a good one? If at all possible, view and drive the car before purchase using our used car checklist (99.7 KB) as a guide. Take someone with you to help. 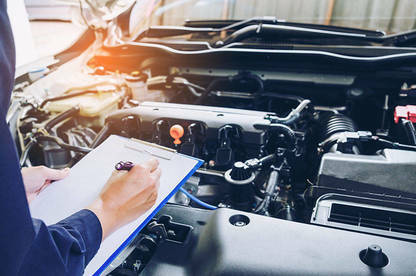 For about $120, it’s a good idea to pay a specialist inspection service or a mechanic to do a detailed mechanical inspection, especially if your test drive highlights possible problems. The car itself is only half the story. You need to check the paperwork for any used car, to make sure the car is the car you think it is. 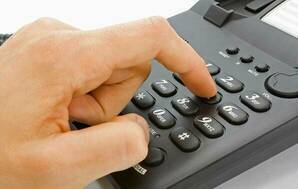 With any loan offer, check the time to repay, the monthly payments and the total cost over the term of the loan. If the dealer offers an interest-free loan, check there aren’t any hidden fees and that the asking price of the car hasn’t been inflated to cover it. Also think about what to do with your existing car: sell it or trade it in? And what about depreciation – how much will your new ride lose in value when you come to sell it on? There are very good reasons for buying new. 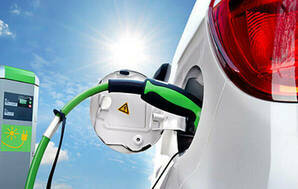 New-car benefits include top-notch safety, modern equipment and low upkeep costs (for the first three years, at least). The big trade-off is depreciation: by buying new you’ll need to accept a big loss when it comes time to sell. Buying a nearly new vehicle can save you a tonne of depreciation, but still get you many of the new-car benefits. Any used car should be durable, safe, fit for purpose and free from major defects. How do you know if a car will provide years of happy motoring or spend more time at your local garage? You can start with our latest car reliability survey. What do you look for when choosing a car? Superb driving performance, brand reputation, value or something else? As part of our latest car reliability survey, members told us why they chose their cars, revealing some stark differences among the 27 brands and 89 models we analysed. Google is your friend. Search for MAKE MODEL YEAR and “problems”. Every car will have someone crying foul about it on internet forums and it’s easy to disappear down a rabbit hole of worry. But be realistic and you may turn up some known problems that’ll steer you away from a car, or at least warn you what to look for, like ongoing problems with 2010-2014 Ford Fiesta Powershift gearboxes, or the generally poor reliability of pre-2010 Mini Coopers. We keep our cars going for longer than in most countries, our fleet averages over 14 years old and the average used import is 12 years old at the time of import. These are cars well into their twilight years. With an older vehicle, you need to expect repair bills for wear and tear and accept minor failures and niggles. However, it isn’t reasonable to expect a major failure soon after purchase. Look at how the car is presented – is it clean and tidy? Ask if it’s been serviced before sale and if there are any faults you should know about. Get copies of any inspection or service reports. If the car has had previous New Zealand owners, ask for service and maintenance records that show it’s been looked after. If the car is freshly imported, or has no documented service history, assume the worst. A pre-purchase inspection costs about $100 and will show immediate problems, but won’t tell you about future failures. If the car hasn’t been recently serviced, you could negotiate an immediate service as part of the deal. Otherwise, set aside some of your budget to get your wheels serviced immediately after purchase and tell the mechanic you want to know if there are signs of neglected maintenance or future trouble. You might find something that can be fixed before it becomes a problem, and you can use the report as evidence to take to the dealer to highlight any faults present when it was sold, which you can claim for under the CGA. Buying a car privately can be daunting, but don’t be put off. A private seller has the advantage of knowing some of the car’s history. They may have records showing servicing and repair going back a few years, or even from new. However, in a private sale you have no CGA protection if the car goes wrong, so arm yourself with our checklist and advice. You don’t have as many protections but, with care, buying privately might just turn up a great car without the dealer price premium. What should you do with your existing car? You could sell it privately where, for the pain of advertising and dealing with the sale, you’ll get the most money for it. Or you can take the easier option and trade it in to the dealer when you buy a replacement. You’ll get less for it (the dealer needs to make a profit when they onsell it), but save a lot of hassle. All new and used car dealers will take a trade-in. They’ll ask if you have a car to trade when you get serious about buying – it has a big effect on the profit they could get from the sale. Although the dealer might accept your old car, it’s not likely to be really wanted – it’s an inconvenience the dealer needs to remove after you’ve driven away in your new ride. Offering a trade-in won’t put you in any type of strong negotiating position, you’re usually better off if you can buy a car without handing yours over. 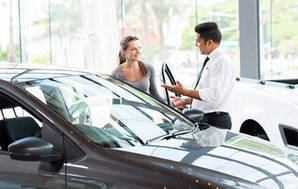 The dealer will want to assess your car before making an offer. Prepare your car before they check it out, just as you would if you were selling privately. Make sure you know how much your vehicle is worth before you start negotiating. You can buy a “personalised vehicle valuation” from Redbook for your car that lists private and trade-in prices – it’s the same data the dealers use. A report costs $20 and is worth every cent. Be prepared to negotiate the value of your trade-in. Your aim is to get the best “cost to change”, which may be a combination of discount from the advertised price and a good valuation on your trade-in. Beware used car dealers guaranteeing “$$$ for your trade-in, regardless of condition”. You can bet the dealer isn’t doing you a favour by taking your worn-out lemon – sticker prices on its lot are likely to be inflated to compensate. With very few exceptions, you’ll end up selling your car for less than you paid for it. Automobiles lose value as they get older and the kilometres rack up. Depreciation is a hidden cost of car ownership – you don’t see it until you come to sell the car or trade it for a newer model, when you take a hit to the pocket that could be thousands of dollars. The amount and rate of depreciation isn’t the same for all cars: fuel guzzlers, luxury brands and models with a reputation for poor reliability depreciate faster. 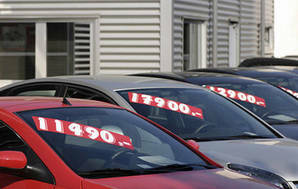 New cars depreciate faster too – they can lose up to 30 percent of their value in the first year. As a car gets older, depreciation slows down. Buying a brand new, V8-engined, Land Rover (for example) is a sure-fire way to experience peak-depreciation. Depreciation scales with price paid – so if your new car costs $60,000 you’ll lose more than you would on a $30,000 model over the same period. A two-year-old Nissan X-Trail Ti 4WD with an average 30,000 kilometres is listed at a dealer on TradeMe for $40,990. That model sells new for $53,995. The missing $13,000 equates to a dollar spent in depreciation for every two-and-a-half kilometres driven. Our new car list prices are high compared to other markets. That’s partly because many new cars here are sold to business fleets and rental companies, which access bulk-buying discounts. It’s essential you negotiate hard when buying a new car to get a big discount from the list price, or you’ll get stung when your vehicle comes up against keenly priced fleet cars on the used market. If you really want to make depreciation work in your favour, buy a one- to two-year-old car to avoid the new-car depreciation losses. You’ll still get all the comfort, safety and reliability benefits of the latest model. Keep that car for three years, then sell it just before it’s five years old, before it starts to cost more to repair and keep running. You’ll also hit the sweet spot of demand. Your later model car with higher kilometres and service history looks like a good alternative to an older model fresh import with no history, but lower kilometres. In all, you should lose less in depreciation in the three years you own the car than it lost in its first year from new. Choose a popular colour and desirable options that will add value. Look after your car: keep it clean and tidy, keep it serviced (and keep service records) and repair any damage. Keep the car for longer – spread over 10 years, depreciation isn’t a factor (but expect increased maintenance costs). Drive less – cars with fewer kilometres hold their value better.